Product prices and availability are accurate as of 2019-04-14 15:37:02 BST and are subject to change. Any price and availability information displayed on http://www.amazon.com/ at the time of purchase will apply to the purchase of this product. 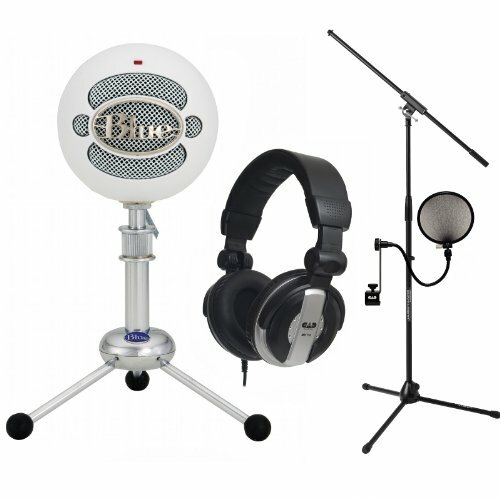 The Snowball USB condenser microphone from Blue Microphones is the top selling USB wired condenser microphone on earth. Its unique design and exclusive condenser capsule developed by Blue deliver legendary sound for everything from pod-casting to taping instruments. The Snowball take advantage of Blue's legendary professional audio heritage to record at a level unmatched in the market.